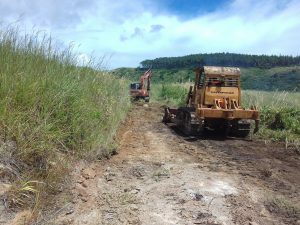 Fiji Roads Authority (FRA) has awarded a $5million contract for the construction of the new Yawe District Road and Nabukalevu-I-Ra Road on Kadavu Island. This is part of the Development of Rural Roads Projects- Eastern Division. FRA Chief Executive Officer John Hutchinson says the contract has been awarded to Prem’s Civil Engineering, with works already in progress. “The new 4.9km Yawe District Road and 9.7km Nabukalevu-I-Ra Road will provide a number of social and economic benefits to more than 3000 people living in and around the community,” Mr Hutchinson said. He said once the roads are constructed the transportation of goods and services will be much faster and cheaper. Mr Hutchinson said the works will be delivered by a local company which would also help support jobs in the country and contribute to Fiji’s economy. He said the project is scheduled to be completed in September, weather permitting.